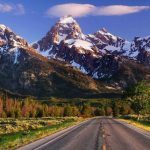 Home / Tour Packages / Canada Tours / Rocky Mountain Adventure- New Tour for 2019! Front Line Tours is very excited to give you the chance to scratch an item off your bucket list! We are offering you a chance to come along with us on a Rocky Mountain Adventure. You will board your flight in Hamilton and travel with us for 6 days and 5 nights on a tour that will leave you wondering if the vistas you are experiencing are only a dream. You will start in the home of the Stampede with a tour of the vibrant city centre of Calgary. 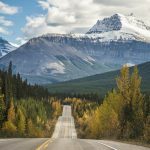 From there you will experience breathtaking views of the jagged, ice-capped Rockies as we enter into Banff National Park. The adventure will continue as you drive up through the national park system on the iconic Icefields National Parkway; one of National Geographic’s “drives of a lifetime” and into Jasper National Park where you will have a chance to stand on a glacier and dip your water bottle into glacier run off that has been frozen for thousands of years. We don’t promise the fountain of youth, but we promise a sightseeing adventure that will give you stories to share and your camera a work out. 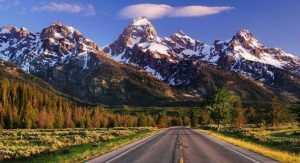 The alpine lakes, canyons and diverse wildlife you will experience will have you questioning why it has taken you so long to scratch this off your bucket list. 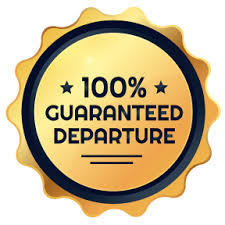 Cancellation and Medical Insurance is available through our office; please contact us for a quote. 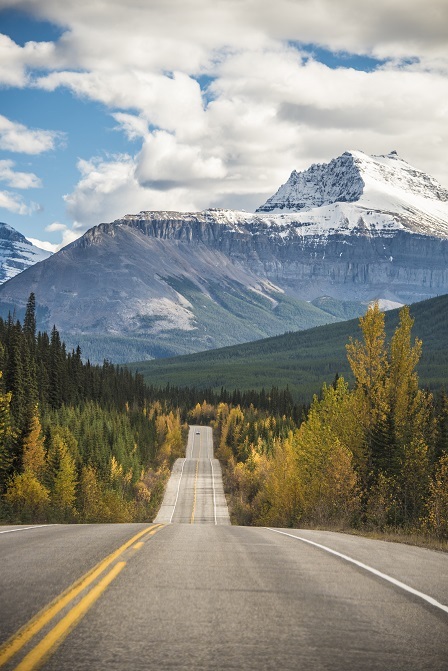 Board your flight to Calgary where you will be greeted by our Tour Director and picked up by our deluxe coach to begin your tour of the Rockies. Enjoy a city tour of Calgary before making our way to Banff for the next two evenings. Get to know your fellow passengers at our Meet & Greet dinner before checking into our accommodation at the Banff Aspen Lodge. The rest of your evening is free to explore downtown Banff. This morning after breakfast it’s time to board our coach for a tour of Banff and the surrounding area with a local step on guide. 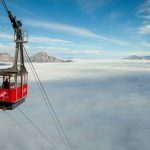 Sit back, relax and enjoy the magnificent ruggedness of mountains & turquoise glacial lakes as we discover one of the world’s most awe-inspiring mountain destinations. Afterward, you’ll have time for lunch and to explore more of Banff on your own. 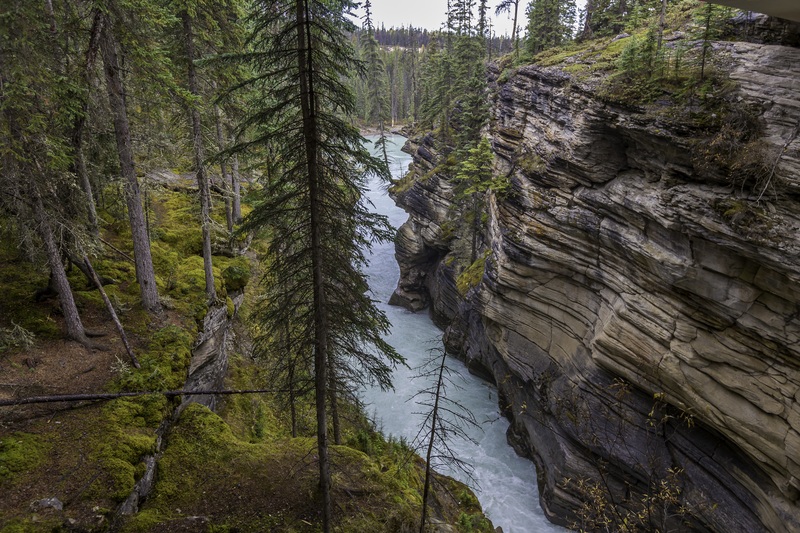 This afternoon we will visit the dramatic natural beauty of Johnston Canyon. Overhanging canyon walls, waterfalls, the deep pools of Johnston Creek and lush forest are sure to leave a memorable impression. On our return, the evening is free to enjoy on your own and to experience one of the many wonderful restaurants in town. 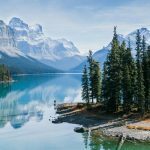 Today as we depart Banff and head to Jasper via the Icefields Parkway, you will experience one of Canada’s national treasures and most rewarding destinations. 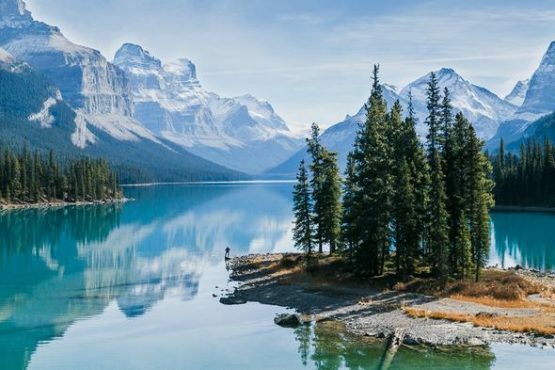 Traveling through the heart of the Canadian Rocky Mountains, this special route winds its way through two national parks, boasting a unique and irreplaceable landscape rich in history and natural beauty second to none. 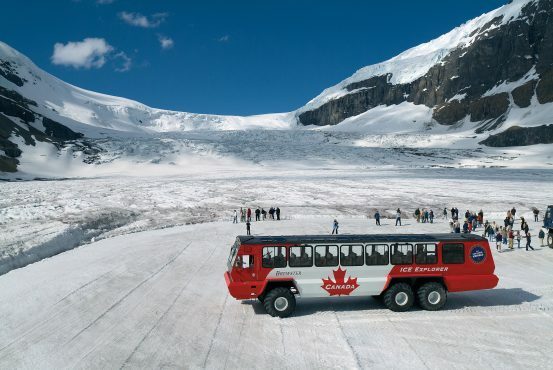 At the Columbia Icefields Discovery Centre, we will climb aboard a specialized ice explorer and enjoy a tour through the largest icefield in the Canadian Rockies. 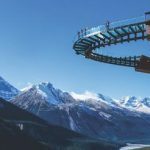 Afterward, we will visit the Glacier Skywalk for photo-worthy views as you walk along the glass bottom walkway. Then it’s back on the coach with a box lunch as we make our way to Athabasca Falls, ending in Jasper at the Chateau Jasper for the next 2 evenings. Enjoy dinner at a local restaurant and all that Jasper has to offer. 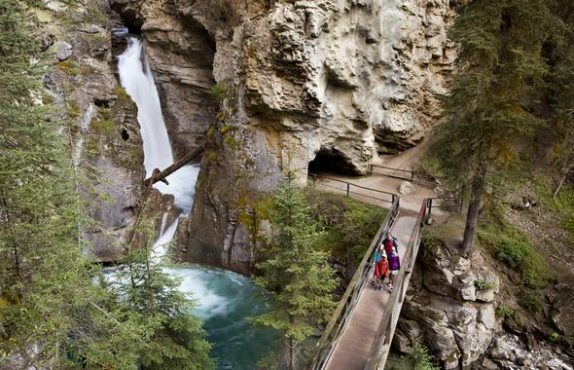 This morning after breakfast we will experience an iconic natural landmark as we make our way to Maligne Canyon, the deepest canyon in the Rockies and home to some of the regions most breathtaking scenery. 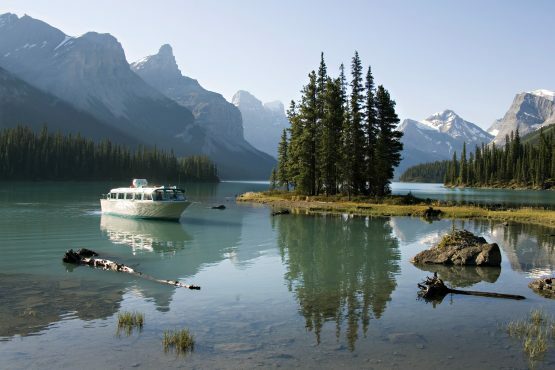 Afterward, we will enjoy an included lunch before making our way to Maligne Lake where you will discover the world famous Spirit Island through an interpretive boat cruise. Enjoy some of the most interesting and spectacular scenery found anywhere in the world. Iconically known for its beauty, Spirit Island is one of the most photographed places in the Canadian Rockies. We will return to Jasper afterward for you to do some more exploring of this alpine town and enjoy dinner on your own. 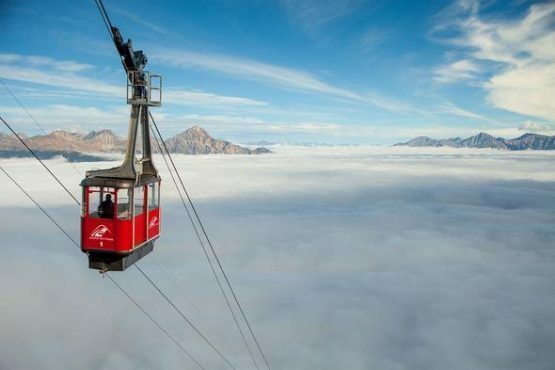 This morning after breakfast we will take a ride to the top of Whistlers Mountain aboard the Jasper Skytram for the best views anywhere. Once back on the coach enjoy the scenery with a boxed lunch as we make our way to Edmonton and the River Cree Resort for the evening. On arrival, we will be greeted by a welcome presentation. Enjoy your buffet dinner before trying your luck in the Casino. You will receive a $5.00 Slot play coupon. 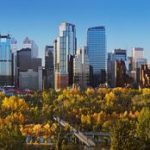 This morning after breakfast we will board the coach and discover the ever-changing skyline of Edmonton as we enjoy a city tour. Then it’s back to Calgary for your flight home, returning with new friendships and fond memories of your Rocky Mountain Adventure.